A 12 Bore inert cartridge, star crimped at one end, with a 1 oz rifled slug inside. The slug is rifled, allowing the it to impart spin on the projectile even though it is shot through a smooth bore shotgun. This results in better range and accuracy. 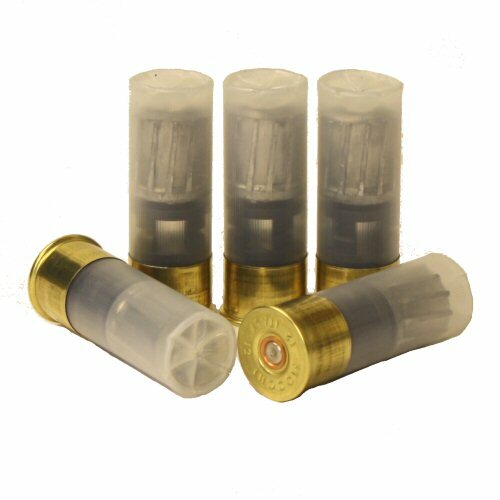 Please note, these inert cartridges are shipped with no powder and fired primers (indented). Warning, attempts to illegally re-activate will result in personal injury! Price is for one inert round only. Inert rounds shipped outside the UK may only be shipped by courier (eg UPS) due to civil aviation authority controls.